Dip fresh, crisp vegetables into hummus or yogurt-based dips for a healthy alternative to potato chips. Summertime is all about grilling — the fresh air, the laid-back style of entertaining, the smoky, charred foods — there’s nothing better than a good barbecue with friends and family. Plus, grilled foods can often be some of the healthiest; grilling is generally a low-fat method of cooking. But all the things we add to a good cookout menu — potato salad, potato chips, sugary drinks, and desserts — can cause your summer barbecue to quickly become a huge calorie bomb. 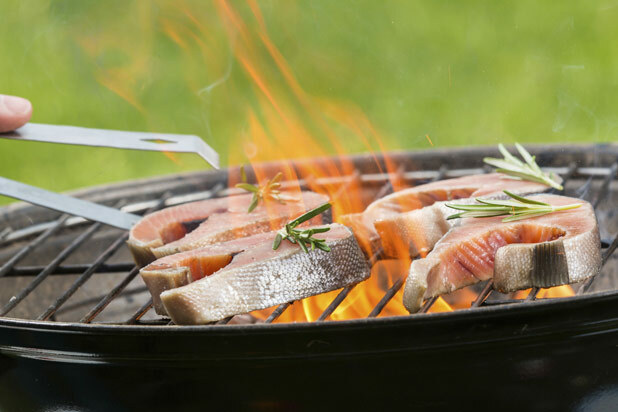 Luckily, eMeals’ registered dietician Jessica Cox is here to help; she’s sharing 10 tips that can help you have a healthy and delicious summer cookout. Just because you’re grilling doesn’t mean you can’t incorporate healthy options like vegetables and whole grains. Vegetables are actually great when grilled; they’re smoky and full of flavor. And raw vegetables can be the perfect substitute for higher-calorie and higher-fat snacks like potato chips; vegetables are equally as crunchy and easy to dip but much lower in calories. Also, whole grains are easy to incorporate into your favorite cookout side dishes; swap macaroni with whole grain pasta and toss quinoa or bulgur into salads. It’s easy to cut back on added sugar without sacrificing sweetness. Try swapping high-calorie beverages that are loaded with added sugar for those that are sweetened with fresh fruit or a squeeze of citrus; try squeezing lime juice and adding fresh raspberries to seltzer for a delicious (and healthier) drink option. Desserts can also be replaced with fresh fruit — there’s no better way to end an outdoor meal than with fresh, cold wedges of watermelon. If you’re planning a cookout but still want to eat healthy, be sure to check out the rest of Jessica’s healthy tips. 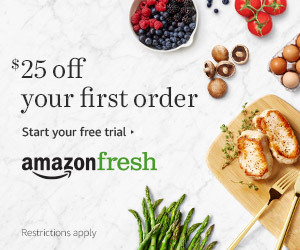 Start with a lean protein like skinless chicken breast, 90 percent lean ground beef, sirloin or tenderloin, pork chops, lamb loin chops, or fish. Bottled marinades are packed with preservatives and sodium. While sodium may not directly cause weight gain, excessive salt intake causes fluid retention, leaving you feeling bloated. 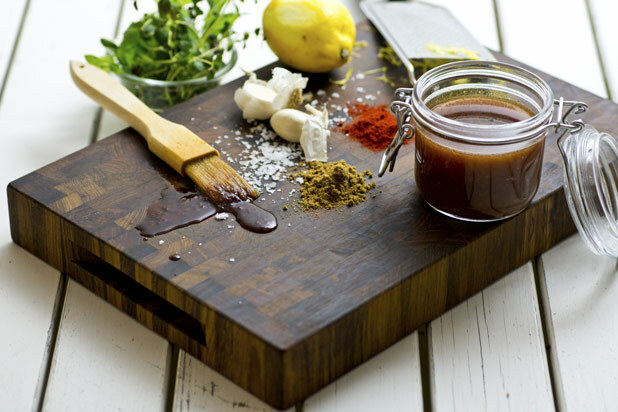 Make your own marinade to save on sodium and preservatives and still add flavor and moisture to your lean protein choice. eMeals is a meal planning website designed to make life easier and bring families together at mealtime. Visit their site by clicking here.